Are you looking for a new sofa? Have you thought about putting some style and sparkle into your home? If so then a trip to Furness Home Interiors is in order. 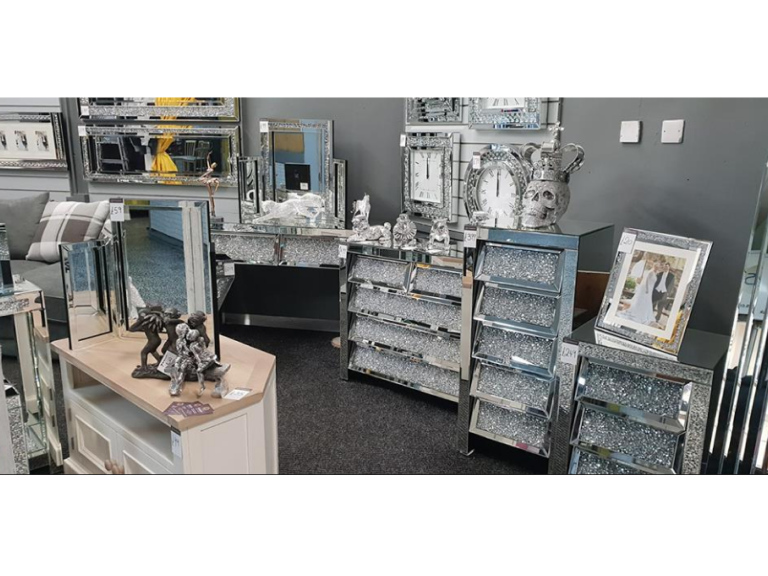 Furness Home Interiors have a fabulous range of luxury furniture, gifts, mirrors, lamps, wall art and much , much more , all available to the public at trade prices. You’ll be amazed at the prices and the quality of their incredible items. With 10 years’ experience in the furniture industry, this family run businesses moved back to Barrow and whilst looking at various locations within the town, saw the potential in taking a stall in Barrow Market Hall and considered it to be the perfect venue to showcase their wonderful range of home furnishings . Now, the quality of their items has to be seen to be fully appreciated. Photos – however well taken, just don’t do these pieces justice, you simply have to see the quality up close to fully understand how beautiful and well- made they are. Furness Home Interiors have many items to view at their display unit, but obviously having limited space means that they can only display one or two sofas at a time, however they do have a large amount of stock and can arrange viewings after Market hours to suit, and there are 100’s of items that can be viewed online too. Typically there is a 2-3 weeks lead time for furniture, 1 – 2 weeks for smaller items such as the fabulous range of mirrored furniture they sell. They also offer a Layaway Scheme too, so if you’ve seen something you really like you can make smaller payments on an item till it’s paid for in full. Once paid for in full the item can then be delivered to you. The support they’ve had from the public and fellow traders alike has been incredible, and they are a fantastic addition to the market. It’s fair to say they’ve had a fantastic start to their life in Barrow market. Here’s to a fantastic 2019.